Floyd Laughren and the members of the Greater Sudbury Community Solutions Team conducted Round 2 of their mandate by visiting each of the outlying communities to present a summary of the issues and suggestions made during the first set of public meetings in June, as well as outline how the team will proceed to develop its final recommendations to City Council. Six citizen working groups, each led by a member of the Solutions Team, will tackle these themes during October and November. The working groups will propose draft solutions for the Community Solutions Team's consideration and adoption. A final report will be presented to the 'New' City Council in early 2007. “We can't just present city council with 3,000 problems. City council needs to deal with policy issues. We have to weed out some issues. You can't say to city council that there's a sign down at Suez Rd. in Capreol,” he says. If citizens can't make it out to the meetings, they can submit their comments or volunteer to be in a working group by e-mail at cst@greatersudbury.ca, in person at any Citizen Service Centre or by mail at Community Solutions Team, Tom Davies Square , 200 Brady St., Sudbury , ON , P3A 5P3 . 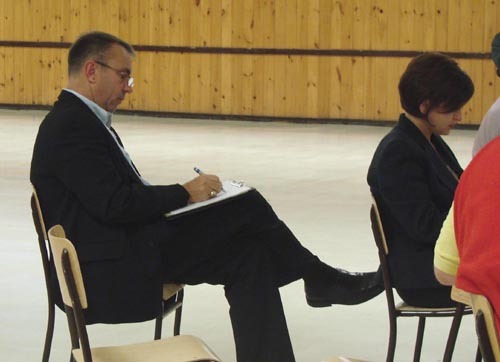 Only thirty (30) people attended the meeting in Valley East which was an opportunity for the public to review the information that was gathered during the first round of meetings which were held in June. Of that group, a total of 13 included committee members, City staff, representatives from the media and candidates in the upcoming election. 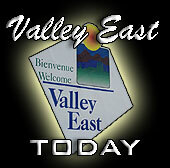 Only 17 were considered members of the general public, and almost one third of that total came from the Valley East Community Action Network. 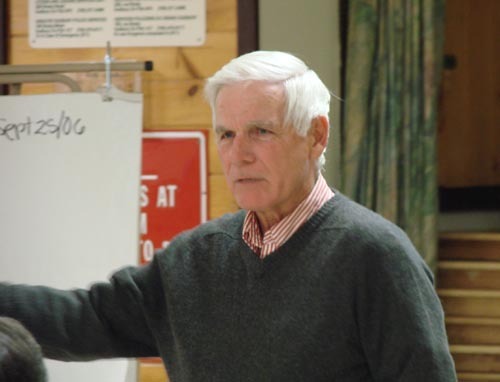 Gary Michlak is shown leading the group through several sessions during which people reiterated some of the issues, concerns and suggestions that were mainly included in the initial report. On October 12, 2006, the Community Solutions Team will meet with some 36 members of the general public who will have been selected to sit on six different committees, each with a responsibility of sifting through one of the six themes that have been identified during the meetings with the public. Following the orientation meeting, the groups will meet three more times, on October 19, November 2 and November 9, before turning things back to the Community Solutions Team members for their final deliberations and preparation of a report that will be turned over to the New Council in January 2007. Two very interested Senior Managers from City Staff were also in the audience taking careful notes and making observations. They were Alan Stephen, General Manager, Infrastructure and Emergency Services on the left, and just in front of him, Lorella Hayes, Chief Financial Officer with the City. It was apparent from the mood of the small audience in Valley East that people in the outlying areas are not happy with the level of services they have been receiving since amalgamation in 2001. The issues range from poor road maintenance and snow removal to a lack of senior housing developments. It was obvious that much work must be done to create a level of "decentralization" in some areas of responsibility so that people have a sense of "belonging" to the City of Greater Sudbury. Much of the blame for the conditions as they exist today was directed to City Council for failing to fully understand and appreciate the needs of their constituents. It seems as if the upcoming election campaign will be fought on one major underlying principle: Do we want to be "One City" or do we want to be a "Community of Communities"? Margaret Richer, left, and Cecile Labelle, two Customer Care Representatives with Acrobat Results Marketing of Capreol, were on hand at the Hanmer Valley Shopping Centre from September 22 to 24, 2006 conducting a Mini - Job Fair in hopes of recruiting new employees for their company. Cecile, who has been with the firm since it opened some six years ago, explained that this is one of the best jobs she has ever had, "I just love it because we don't do any selling. All we do is conduct surveys and collect data on just about anything you can think of. Most of our calls are to places outside of Canada, but we have done surveys and polls for local businesses and politicians." Margaret, who has been with the company for three years, went on, "It is such a nice place to work. Everyone gets along with each other and the company really treats us fairly. Our boss, Beth Depatie, who is a Vice President of Acrobat, in charge of Field Operations in Capreol, is so nice to work for. She really cares about her employees and does everything she can to be accommodating." The starting rate for interviewers is $8.50 for the Day Shift (9 a.m. to 5:00 p.m.) and $8.00 for the Night Shift (5:15 p.m. to 12 a.m.). Both Cecile and Margaret point out that there are plenty of opportunities for advancement and with the performance incentives the actual wage can be much higher. In addition, there is so much work lined up that the company must hire more people to complement its staff which is already close to 100 employees. The best thing of all is that Acrobat Results Marketing offers flexible scheduling done on a weekly basis so that you can work as few as three evenings a week to work around other commitments. This is an excellent job for a student or someone looking for part-time employment to supplement another full-time job. If you are interested in finding out more about this employment opportunity, call (705) 858-4343. 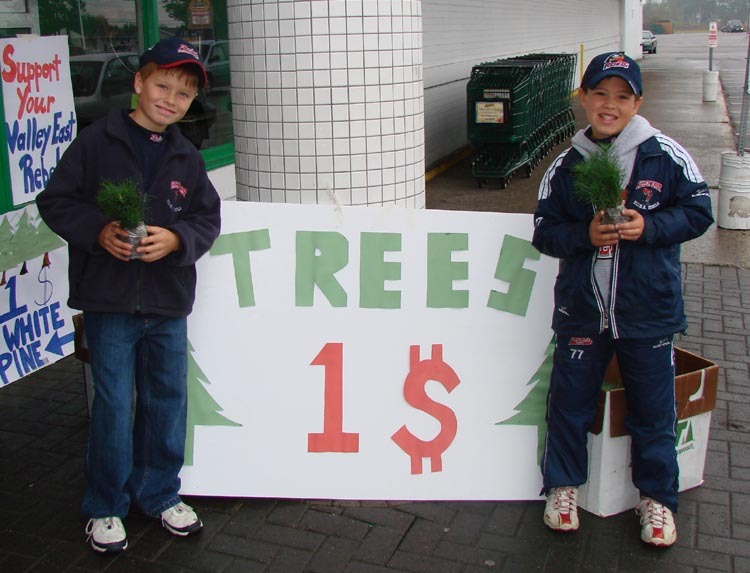 Members of the Valley East NOHA Minor Atoms were out in full force this past weekend (September 22 & 23, 2006) trying to raise money to help defray some of their team's expenses for the 2006-2007 hockey season. In the photo above, Cole Braney (9), a Left-Winger with the team and a Grade 4 student at Valley View Public School, and his linemate, Body Brunet (9), a Centre Man who attends Grade 4 at the new John Paul II school in Val Caron, are shown during their shift at the Hanmer Valley Shopping Centre. Cole's mother, Christina Braney was supervising the pair and had this to say about the fund-raising initiative. "My husband, Colin is the manager of the team and he used to be with the Ministry of Natural Resources. So when the parents were discussing ways to raise money, he suggested that we purchase 5000 white pine seedlings and sell them for $1 each. That way we would be providing people with something they could plant to improve the environment instead of just holding a tag day." The team is scheduled to take part in a Bell Canada Tournament in Ottawa during the Christmas Break, so the funds raised will go a long way to covering the expenses for that trip alone. Head coach of the club is Kevin Villeneuve who will be working with Assistant Coach, Bobby Brunet. The rest of the management team includes: Colin Braney, Manager; John Sauve, Assistant Manager; and Paul Rychlo, Trainer. There are nine teams in the Minor Atom league this year. Valley Computers & Consulting Infocom Canada Business Consultants Inc. The first round of the playoffs is history. Now the four divisions enter their championship finals with the first games to be played on Tuesday, September 12. 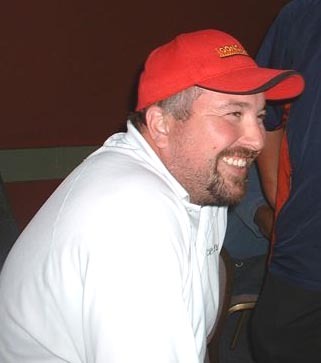 Our playoff information is being provided by Brian Beaupre who has been providing us with up to date standings all during the season. Check out the standings by clicking on the link below to open up a WORD document which will contain the latest standings, courtesy of Brian Beaupre. We appreciate Brian's efforts in providing us with this important service and will keep you up to date with the latest playoff scores. It should be an exciting race in all of the four playoff divisions as the teams this year are extremely competitive within their own groups. 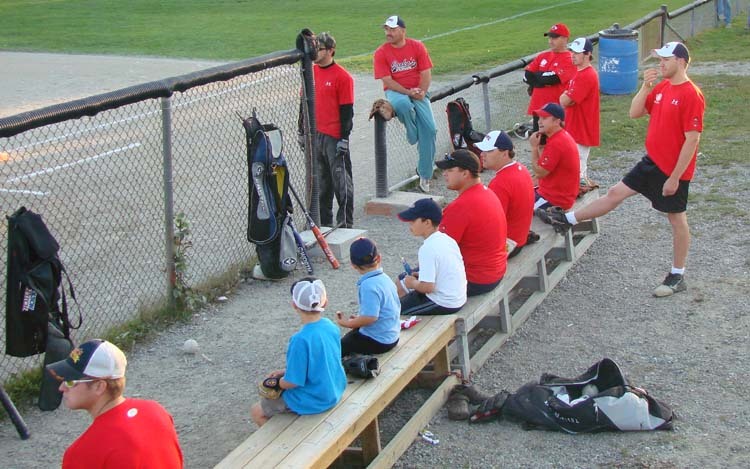 Things are getting tense in the Budweiser Division Finals as Auto Tech and Moeric Services head into a fifth and deciding game tonight (September 26, 2006) at Centennial Ball Field. The game is scheduled to go at 8:00 p.m. It is the last game to be played this season as all three other championship series have been decided. The Art Gallery of Sudbury on John Street has several very interesting programs for children and adults starting up this fall. Go to the main web site through the above link to see if there is anything of interest that you may wish to take part in and contact the administration at 675-4871. All Peoples United Church invites you to “BYON” – bring your own needles. APUC will provide the wool. Kimm and Vanessa will provide some basic patterns. You bring your needles and some enthusiam. BYON evenings are held weekly on Mondays from 7 to 8 pm at All Peoples United Church – side door entrance – corner of Jean and Antwerp – FREE! Call Vanessa at 675-2738. All Peoples United Church invites everyone to our FREE Lectionary-Based Interdenominational Bible Study on Mondays from 10 to 11 am. Our leader for this session is Judith Traulsen. Come to All Peoples United Church – side door entrance – corner of Jean and Antwerp. Call Jan at 522-5126. Chaplaincy / Ministry to Long Term Care Facilities welcomes your donations of small vases and small clean stuffed toys for our “Random Act of Flowers” program for seniors. We also can use unusual mugs – beautiful or silly. Call Jan at 522-5126. The Elgin St. Mission welcomes donations of sandwiches and fresh veggies. If you have fresh food left over from a lunch or suppertime event – why not give it to the Mission, located in the Samaritan Centre at 344 Elgin St.? Call 673-2163. Residents of Valley East lost a familiar landmark this week when the former Fruit Stand at the corner of Hwy 69N and Deschenes was demolished to make room for a brand new retail centre which will be anchored by a 15,000 square foot Shoppers Drug Mart. It is expected that the new retail complex will be approximately 28,000 square feet in total size once several other retail spaces are filled. The sign at the right indicates that there is still space available for anyone who wishes to rent. The establishment of the Shoppers Drug Mart is consistent with a new corporate trend that will see many of the larger chain stores seeking out expansion opportunities into smaller towns now that the big cities are saturated. 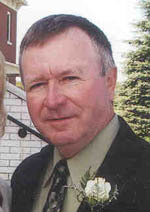 Tony Hernandez, director of Ryerson University's Centre for the Study of Commercial Activity noted that if you look at Wal-Mart for the past five years in Canada, they have gone from 196 to 233 stores with the vast majority of growth being in markets of less than 30,000 people in population. For example, 16 of the 37 new stores have been in centres with less than 50,000 in population. Hernandez is noting a similar pattern with Home Depot and Shoppers Drug Mart pharmacies. 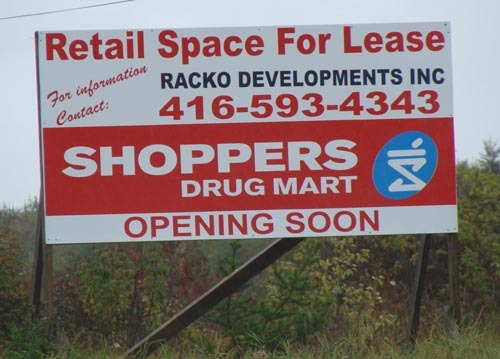 Hence, it is no surprise to find a Shoppers' Drug Mart springing up in Valley East which draws from approximately 30,000 people when you include Capreol. Peter MacKenzie, a development consultant with CB Richard Ellis Ltd. in Halifax predicts that the concept of malls will change somewhat as the larger chains move into smaller communities. He feels that we will see a collection of smaller stores tied to a single giant retailer in a town of 10,000 people rather than a large power centre on the outskirts of a large city. MacKenzie went on to explain that it is possible that small communities will benefit as shoppers choose to stay home to shop rather than driving 50 kilometres to a large urban mall. The aging population and the rising gas prices may also help with this new shopping trend. Therefore the commercial activity at the corner of Hwy 69 North and Elmview Drive in Hanmer should come as no surprise. When completed, this will be viewed as a sign of things to come in communities the size of Valley East. Shoppers can come to one location within their community to find two large grocery stores, a Canadian Tire Store, A Mark's Work Wearhouse, A Hart Department Store, two large pharmacy chains in Pharmasave and Shoppers Drug Mart, a Home Hardware Store and a multitude of smaller independent retail and professional establishments, including a Tim Horton's and the only gas station within a radius of five kilometres. There is no question that we are experiencing the future with respect to the development of retail in the 21st Century. The impact it will have on smaller retailers will be seen shortly. However, consumers speak with their wallets, and the successful large chains have learned to listen to what the consumers are saying. For residents of Valley East and Capreol, the expansion comes at an opportune time and bodes well for the future of this part of the Greater Sudbury Area. One of the most popular features of the Masciangelo Motors web site has been the Pick of the Month section. Each month, Ron, Jeff, Tim and Jen select one vehicle they have on the lot that they feel is one of the best on the lot. According to Jeff, "It seems as if a lot of people go to that part of the web site because once we list a vehicle as a Pick of the Month, it is usually sold before the end of that month." Ron & Jeff continue to search out the auctions, both in person and on-line to bring in the best deals possible. This means that many vehicles are on and off the lot before you know it, so many people in the market for pre-owned vehicles have developed the habit of dropping in for a look on a regular basis. You can still discuss the type of car or truck you would like to purchase and have Ron & Jeff search out the continent for exactly what you are looking for. The "Pick of the Month" section on their web site also gives you an excellent overview of the kinds of vehicles you can find on the lot. If you want a close up look at the latest on the lot, just drop in and see Ron, Jeff, Tim or Jennifer. Better yet, go the link below and take a tour right from your computer. “I Am Not A Politician! First Anniversary Is Cause For Celebration of An Excellent Year For Val Caron's Fantastic Floors - Fall Renovation Projects Are The Order of the Day - Begin Planning Now! This Could Be Your Last Chance To Qualify For A Trip To Cuba!